Cryptocurrencies are all the rage these days. Even as Bitcoin — the most popular cryptocurrency by far — has been shedding dollars off its price, people still remain interested in cryptocurrencies as an investment. After all, Bitcoin did post a 1600% increase in value last year. As a result, Blockchains have become something stock markets are in love with, and companies are making full use of this interest. Last month, the company Long Island Ice Tea rebranded as Long Blockchain, leading its stock price to triple in value, and now, Chanticleer Holdings — a company with a minority stake in Hooters America, and a number of burger chains to its name — has announced that it’s shifting its rewards program to the Blockchain. A development that has caused its stock price to rise by 50%. 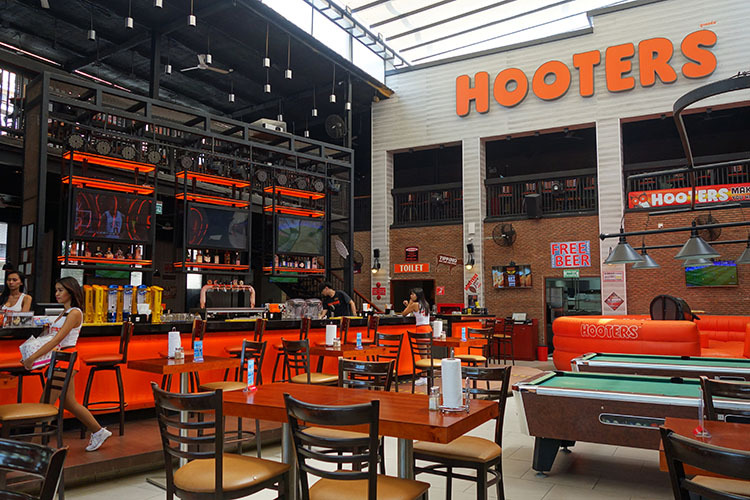 Chanticleer Holdings owns a number of burger chains in the United States, including a number of Hooter’s restaurants. All of the restaurants that come under Chanticleer Holdings will now offer cryptocurrency as rewards to its customers. Mobivity Merit — the cryptocurrency on offer — will allow customers to easily spend their rewards points at other burger chains, and even trade the currency if they want, giving customers more flexibility as to what they can do with their rewards. The new rewards program will start rolling-out in mid-2018, and Chanticleer expects to offer the Blockchain based rewards in all of its restaurants by the end of this year. Whether or not this new rewards system is loved by customers as much as it is being loved by the stock market remains to be seen. However, even attempting a feat such as this in a market that has been highly tied-down as far as rewards systems go, is a big achievement in and of itself. That doesn’t, however, diminish the fact that Chanticleer needs this step to work out. The company isn’t one of the multi-billion behemoths of the world; it’s market cap is just $12 million — a number that’s lower than even the market cap of a cryptocurrency like Dogecoin ($1 billion).